This brush is a must-have for your long and mid-length human hair wigs! Use this brush to blow dry your wigs straight. Boar bristle round brush by Jon Renau features a 3 inch diameter barrel with white nylon and boar bristles. A hallowed barrel reduces weight. 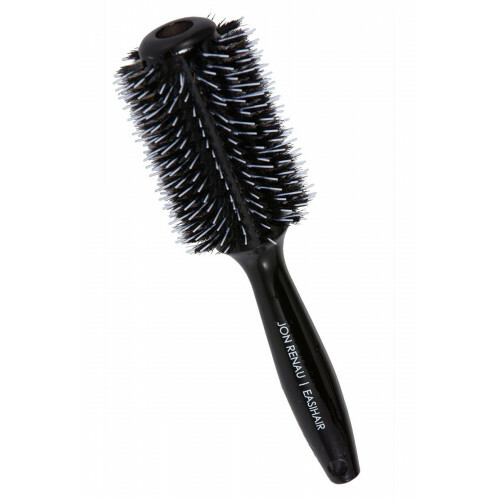 The structure of this brush ensures ultimate hold during the blow dry and style, the nylon bristles are longer than the boar bristle to ensure a smooth and sleek finish. WARNING: Do NOT use this on synthetic or heat-friendly synthetic wigs. This item is for human hair wigs only.